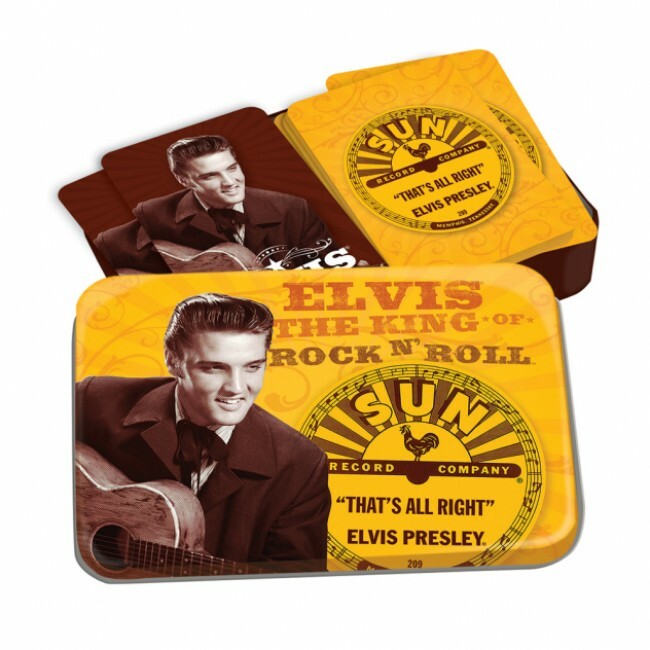 The Elvis Presley Playing Card Set comes in a tin box. 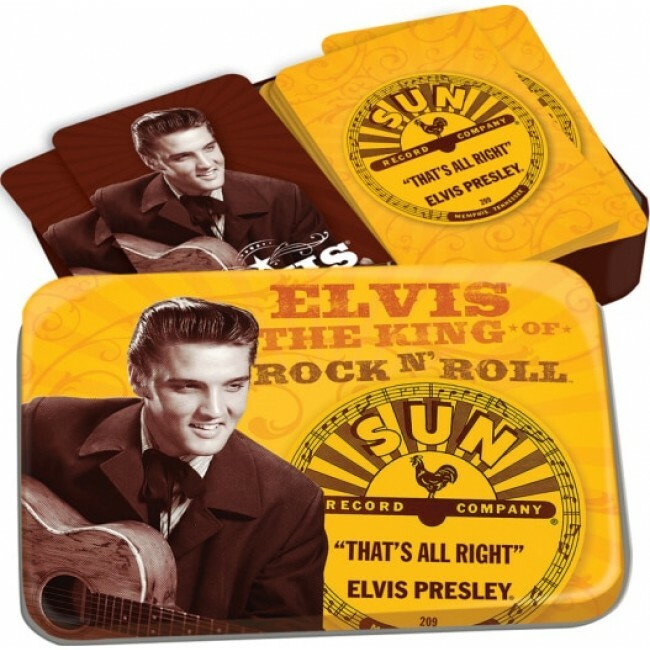 Displaying Elvis and sun Records. Includes 2 deck of playing cards.